Shop Levys M7GG3 3 Inch Garment Leather Guitar Strap from AMS and enjoy Fast & Free Shipping. 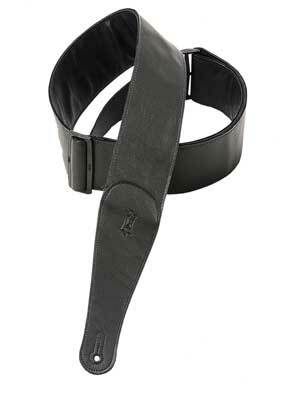 The Levi’s M7GG3 is a 3 inch garment leather guitar strap with garment leather backing and tri-glide adjustment. When you need a little Hard Rock in your life! A 3 inch garment leather guitar strap with garment leather backing and tri-glide adjustment. Adjustable to 65 inches. This is easily one of the most comfortable straps on the market, nice and wide with a great quality thick leather. These are the only guitar straps I buy, period. Excellent quality and very comfortable to wear.